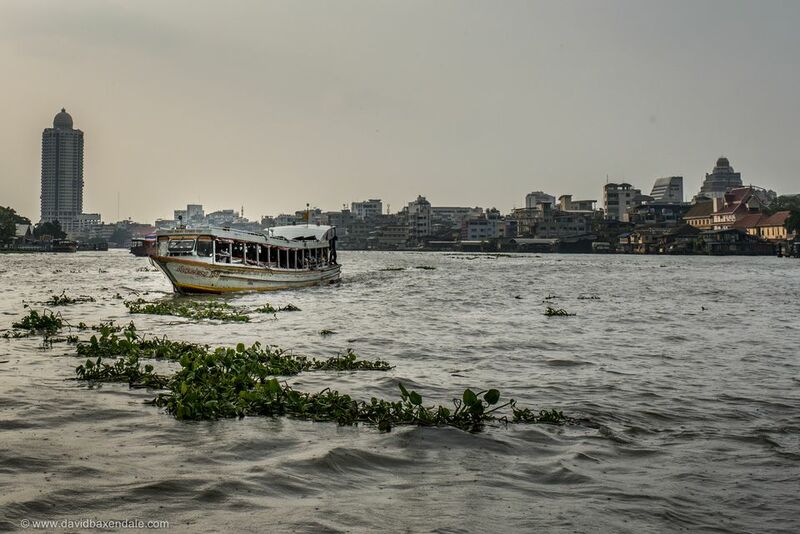 Boats and ferries are a convenient and interesting way to get around Bangkok, and although boat travel can be intimidating at first, once you figure out the routes and the rules they're very easy to use. Bangkok has two boat systems: the Chao Phraya river ferry system and the canal ferry system. The river ferry is operated by the Chao Phraya Express Boat Company, which publishes the schedule and map on their website, but there is no canal ferry map or schedule available online. There is also a tourist boat that runs from the Saphan Thaksin Sky Train stop to Phra Athit near Khao San Road. The tourist boat stops only at piers with major tourist attractions nearby and there is an announcer who narrates the journey. Tourist boats are more expensive but are also less crowded than commuter boats. The riverboats in Bankok run express or local and travel either inside the city center or beyond it, and different colored flags let riders know which boat they are boarding. On the Chao Phraya river, the last boat on each route will fly a black flag indicating that the schedule boat service has ended for the day. Most boats run from 5 a.m. to about 7 p.m. and run as fast as every 10 minutes during peak times and as slow as every hour during off-peak times, but there are no night boats in Bankok. Canal boats also called Khlong boats, run on Bangkok's major canals. The most popular route is the San Saeb canal ferry, which runs parallel to Petchaburi Road all the way to the Golden Mount. Canal boats and river boats make stops very quickly so there's not a lot of time to get on and off. Move quickly and follow the lead of the people around you! Most trips on either the river or the canal boats cost less than 30 baht (the commuter express boat is a little more). A fare collector will come around to you to sell you a ticket. River and canal boat stops are well-marked. Canal boat stops can be difficult to find because the canals are not always obvious from the street. If you'd rather learn a bit more about the history of Bankok and get to know the city on your travels but don't mind spending a little more on your boat fare, the tourist boats of Bangkok are a great way to get around while being educated about the city. The Chao Phraya Tourist Boat, operated by the Chao Phraya Express Boat Company, is one of the most popular of these services in the city, offering guided tour rides along the Choa Phraya river between Saphan Thaksin Sky Train and Phra Athit. These boats fly blue flags and stop at many of the major piers along the river, getting you quickly between major tourist attractions like Wat Arun, Ratchawongse, and Tha Maharaj. You only have to buy one ticket and you can hop on and off any blue-flag ferry by presenting your One-day River Pass. The cost is 40 baht per trip or 100 baht for the all-day pass. Don't Be a Newbie While in Bangkok! Avoid Making These 10 Mistakes.